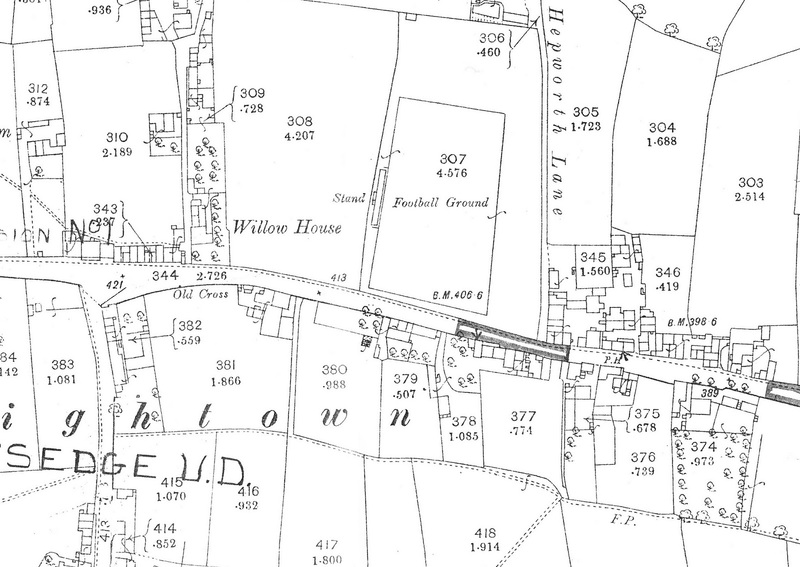 Liversedge Football Club played its first few home games on a field owned by a Mr Hemingway. It is not clear where in Liversedge the pitch was located but it was described in match reports as hilly terrain. Presumably, that meant it had a slope from one end to the other. 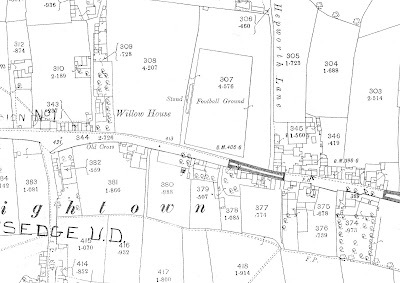 In the 1880s Liversedge developed their ground in Hightown on an area of land next to Halifax Road that is now the King George V Playing Fields. The ground was enclosed. It had a stand and for some of the time Liversedge played there it also had a clubroom. 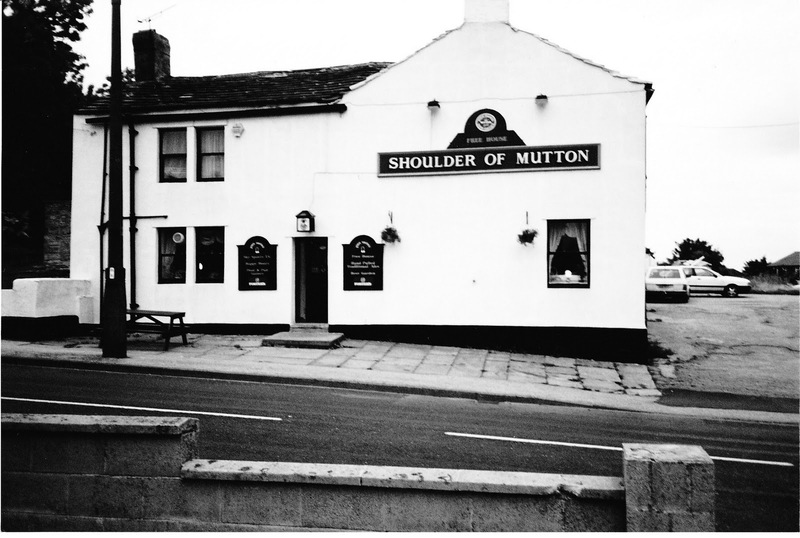 During the period that the club used the ground in Hightown it also used a number of local public houses as its headquarters. 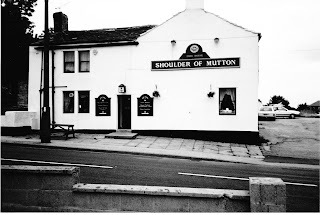 One of them the Shoulder of Mutton, which was about a mile from the ground, was demolished a few years ago. 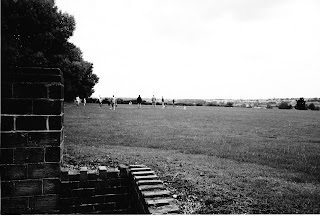 The stand, clubroom and pitch boundaries were made of wood and, as you can see from this photograph of the King George V Playing Fields taken in the 1990s no trace of the ground remains.